기사요약: 2012년 대선 당시 야권 단일후보로 나와 박근혜 대통령에 간발의 차이로 패한 문재인 의원이 새정치민주연합의 당 대표로 당선되었다. 새로 선출된 당 지도부가 총선을 1년 앞두고 있는 가운데 낮은 지지율과 당파 갈등 해결 등 산적한 수많은 과제들을 해결할 수 있을지가 주목된다. The main opposition New Politics Alliance for Democracy on Sunday picked Rep. Moon Jae-in, former confidant of the late former president Roh Moo-hyun, as its new chairman at the party convention in Seoul. Rep. Moon, who lost to President Park Geun-hye in the 2012 presidential race, defeated Rep. Park Jie-won in a close contest by winning 45.3 percent of the final count. Rep. Park won 41.8 percent of the votes. More than 71 percent of the party’s 15,019 delegates participated in Sunday’s vote. Moon and his council will serve a two-year term and oversee the party during next year’s parliamentary elections. For Moon and his council members, victory brings on tough challenges ranging from controversial policy debates with the governing Saenuri Party to reknitting a party wracked by factionalism and worryingly low public ratings. 기사요약: 지난해 세금이 정부 예측보다 11조나 적게 걷히면서 1998년 금융위기 시절보다 많은 사상최대의 세수 결손을 기록했다. 기재부는 이것이 기업실적 악화로 인한 법인세와 부가가치세가 저조했던 것 때문인 것으로 분석하고 있다. South Korea’s Ministry of Strategy and Finance said Tuesday that the national tax revenue fell about 11 trillion won ($10 billion) short of the government’s target last year due to decreased corporate tax and value-added tax earnings. Although Korea’s tax revenue increased 3.6 trillion won to 205.5 trillion won last year, it was still 10.9 trillion won less than its target of some 216 trillion won, noted the Finance Ministry, which closed its books on gross earnings and spending for fiscal 2014. The shortfall marked a record high in the government’s third straight year of tax revenue deficits. It was higher than the shortfall of 8.6 trillion won in 1998 during the Asian financial crisis. The ministry attributed the increased tax revenue shortfall mostly to decreased corporate tax earnings stemming from weak corporate performance. *attribute A to B: A의 원인을 B에서 찾다. 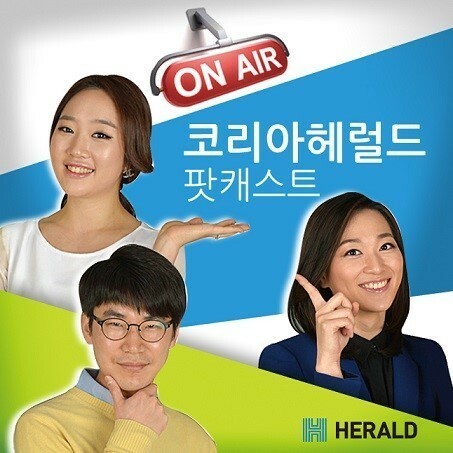 기사요약: 이완구 국무총리 후보자가 최근 언론인들을 상대로 압력을 가했다는 의혹이 나왔다. 이 후보자를 둘러싸고 이미 병역과 부동산 관련 의혹이 제기된 데 이어 언론 외압으로 해석될 수 있는 이 후보자의 녹취록이 10일 공개됨에 따라 여야가 인사청문회 동안 치열한 공방을 벌이고 있다. Prime Minister nominee Rep. Lee Wan-koo came under severe attack by opposition lawmakers at his parliamentary hearing on Tuesday as they disclosed voice recordings of him allegedly trying to intimidate journalists. Rep. Lee, the ex-floor leader of the ruling Saenuri Party, was nominated by President Park Geun-hye last month. But accusations including real estate speculation, draft-dodging and intimidating journalists have endangered his appointment. The disclosure of Lee’s voice recordings was expected to intensify a partisan fight over whether the appointee was fit to serve in the nation’s second-highest official post. Lee, who has acknowledged the voice in the recordings was his, will have to convince legislators of his eligibility by Thursday, when a plenary vote decides his nomination.